I was really craving some asian bread that day, so I hit up Kam Do Bakery near Richmond Centre! 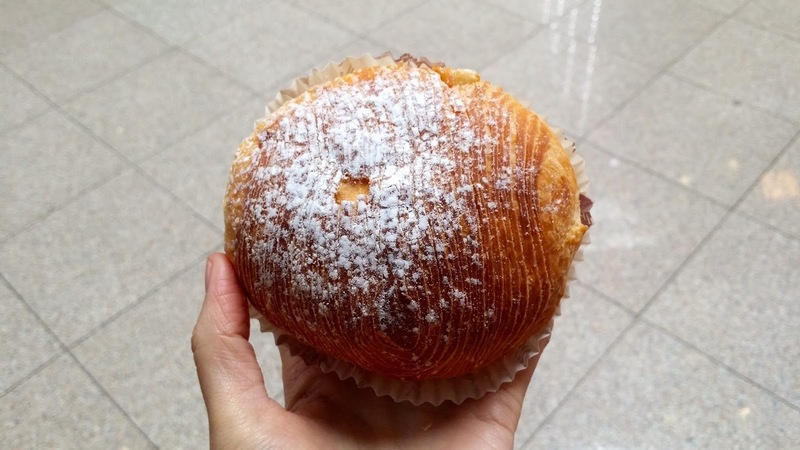 Kam Do has been previously crowned as the "Best Bakery in Richmond." They're famous for their Old Wife Cakes. I wanted to try them out for myself to see if they were really that good. 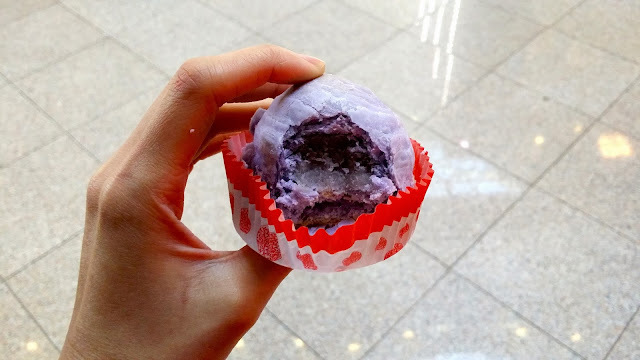 The Taro pastry wasn't very sweet, but the taro flavour was very potent and wasn't artificial tasting at all. 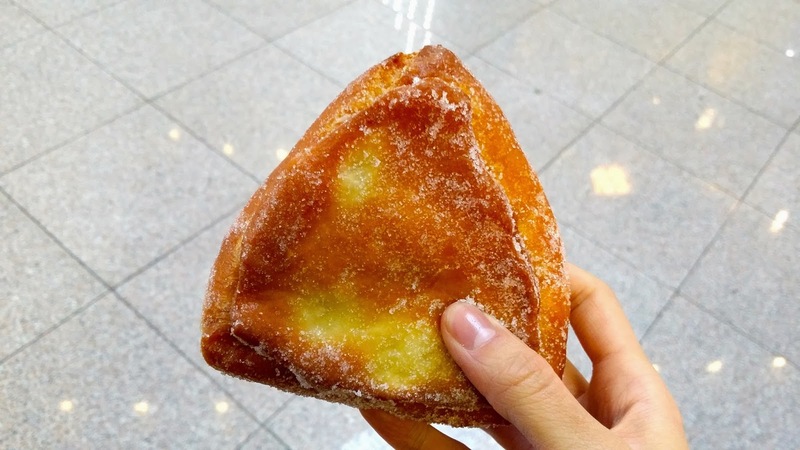 The exterior shell was was perfectly crispy and the filling was mushy and soft. Overall, good, but forgettable. I love anything coconut, so this was a safe bet. I wasn't disappointed as this was delicious! The texture itself was very reminiscent of coconut macaroons, as it was made primarily of coconut flakes. The dough was very moist and soft, and had just the right amount of sweetness! 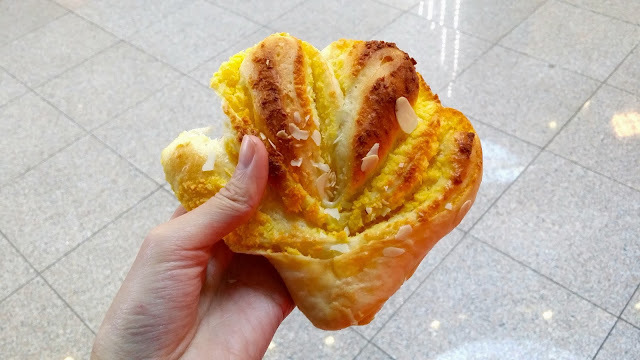 I'm not a huge fan of bread type pastries, but being the coconut fanatic that I am, I had to try these out. These were adorned with shaved almonds, which I thought was a nice touch. The bread itself was encrusted with coconut flakes around the exterior shell. The dough itself wasn't very soft, but had a subtle sweetness to it. The best part was definitely the coconut flakes though. Still pretty good! If you're speaking in terms of Wife Cakes, this was the best old wife cake I've ever had in my life. 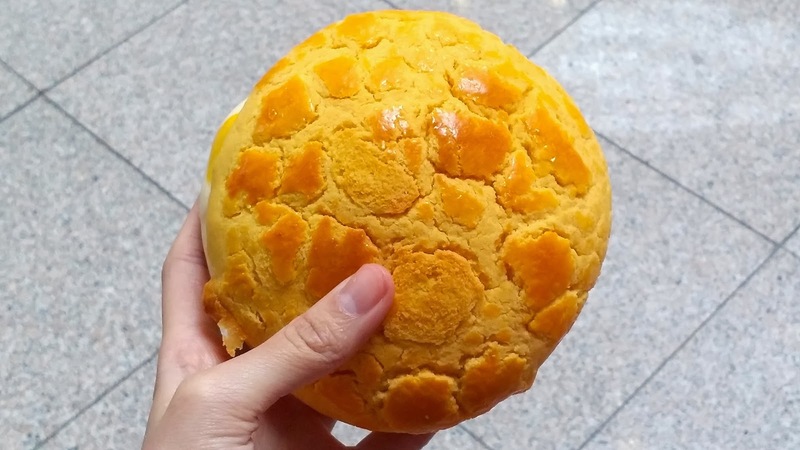 Astronomically better than the ones at other Chinese bakeries and the ones in Taiwan. The shell was glazed with butter, and baked to perfection. The centre is filled with winter melon and was moist and soft when i bit into it. 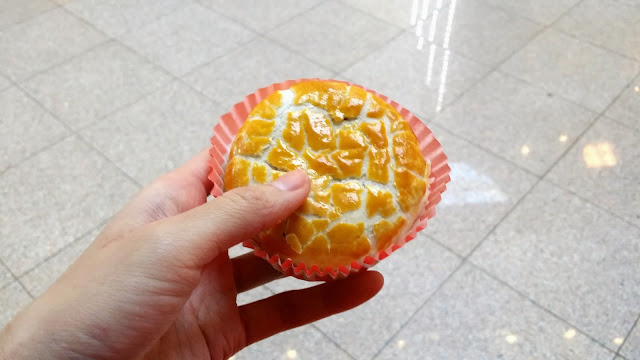 Not my favourite pastry ever, but good nonetheless. This was mostly "meh." 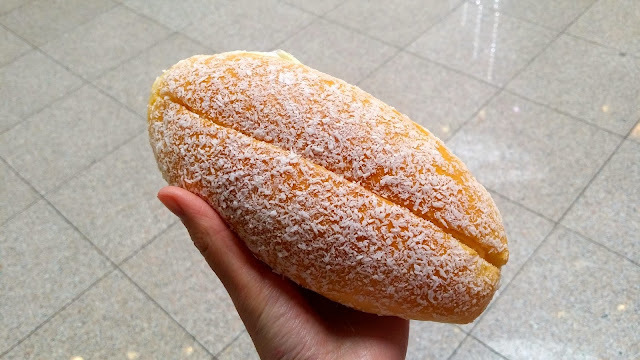 The doughnut itself was powered with sugar. To be honest, the only thing I could taste was the sugar. The Red Bean paste itself was very bland. Wasn't too impressed by this either. Overall, it was very bland tasting. The shell was on the thin side and there was just too much Red Bean paste, to the point that it was overwhelming. Note to self: Don't get Red Bean Paste based pastries. Wasn't a fan of this either. 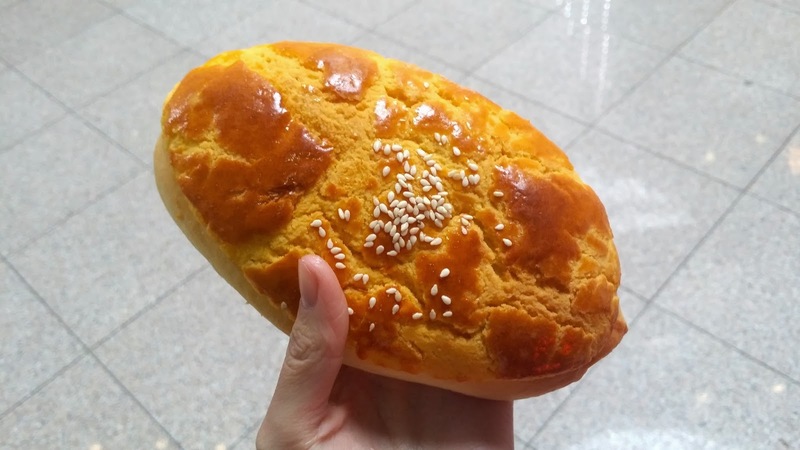 This tasted below average for a Chinese bakery. The egg tart itself was very silky, but it just lacked the distinctly egg-y flavour that makes an egg tart so satisfying. These were a miss. Since I was eating these for lunch, I wanted something salty, so I went with the Garlic Bread. I'm a fan of anything garlic really, and this didn't disappoint! The bread itself had an amazing aroma to it, and the bread itself was saturated with flavour. Wasn't really keen on these. The custard filling just tasted like coolwhip, which I didn't really like. The dough itself tasted very bland, and was kind of dry. The coconut overlay was nice though. 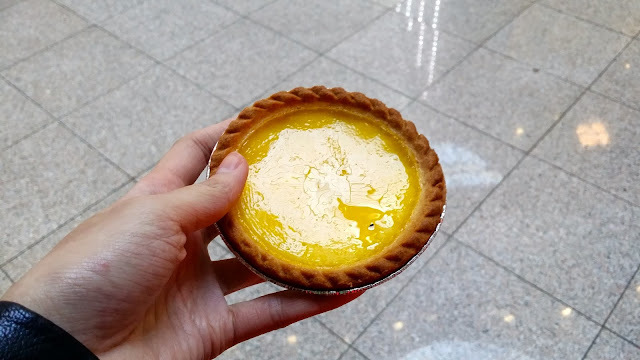 This was a really odd pastry. It was marketed as being filled with cheese, but in reality, I couldn't even detect the cheese. 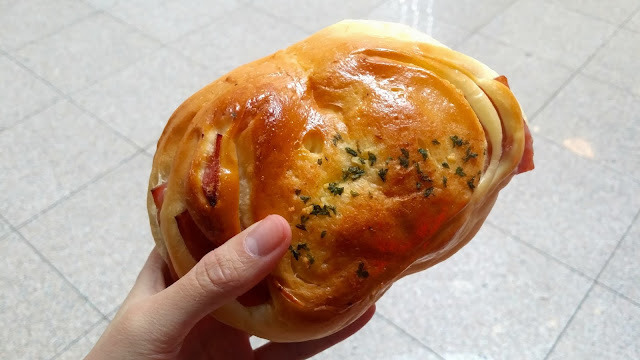 I had to pry open the bun, and peer inside to catch a glimpse of the cheese. There was barely any of it. Seriously, I wouldn't have known there was cheese in this if it wasn't on the label. 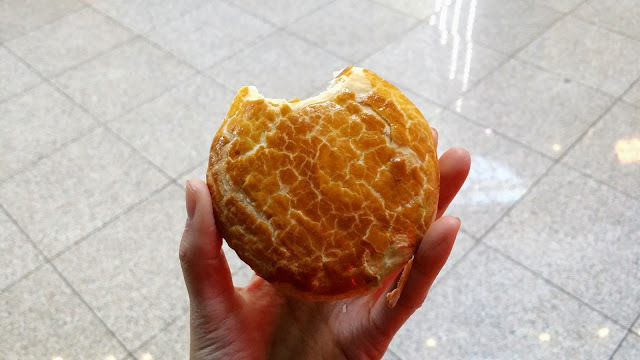 The texture was similar to a croissant, but not nearly as fragrant. 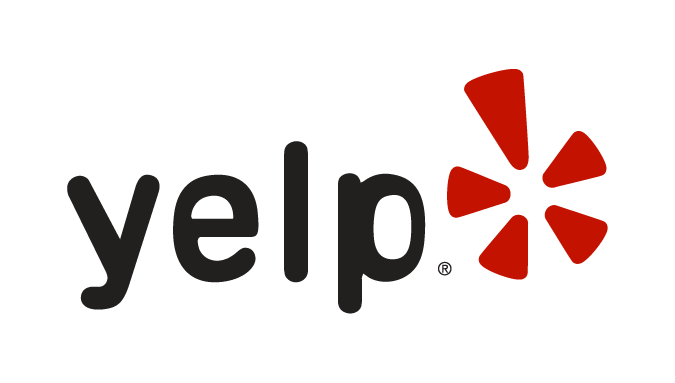 Overall, very bland, boring, and not worth the money. I wasn't expecting this to taste very good. My mom picked this one because if you get 6 items or more, you don't have to pay tax! I was right. This was below average to say the least. The ham was very dry and tasted worse than luncheon meat. 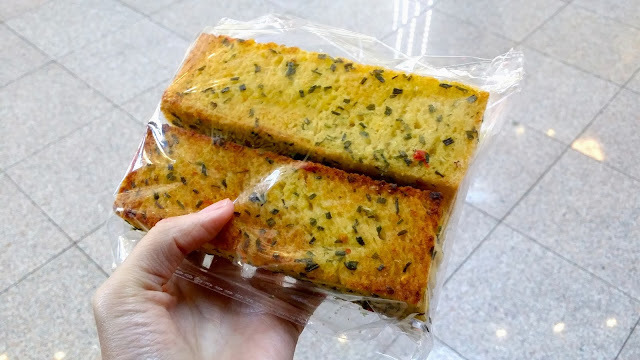 The bun itself tasted bland as well, the only seasoning came from the chives on top. 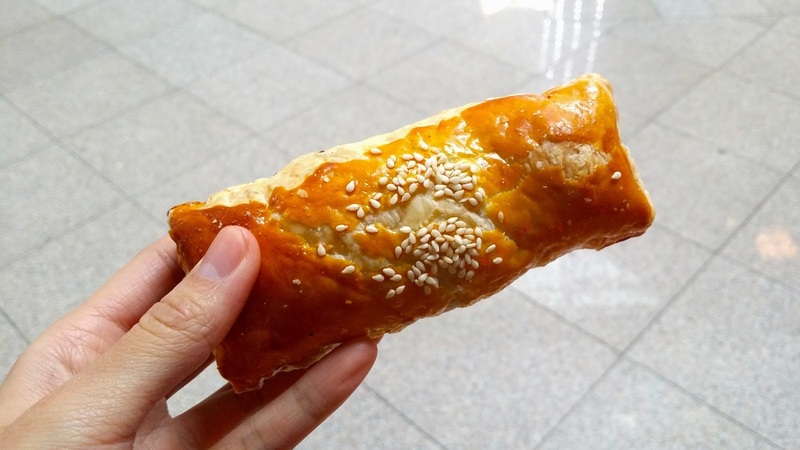 My favourite item to get when we go for Dim Sum is the Cha Siu Pastry. 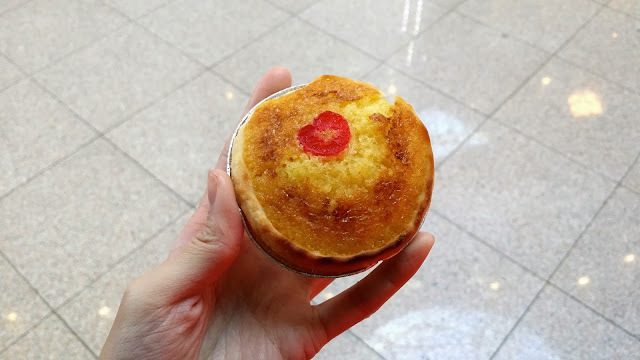 I was ecstatic when I saw these in the bakery since I've loved every single interpretation of Cha Siu that I've tried. I was so excited that I bought two pieces haha! I was VERY disappointed, to say the least. The exterior was very flakey and crispy, but the pork itself was really dry, and didn't taste like Cha Siu at all! The Pineapple Bun tasted fairly standard as fair as HK bakeries go.I still think Lido's does the best Pineapple buns in Central Richmond. But if you're at Kam Do, don't get this, get the Pineapple/Coconut Bun! -The salty pastries are a tad bland. 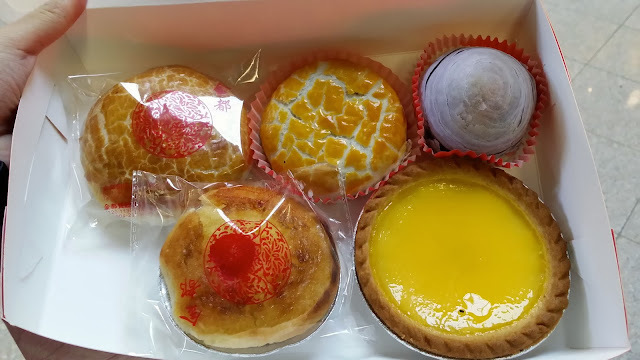 The Verdict: Their wife cakes, taro pastry, coconut pastries, and garlic bread were exceptional! I'm definitely going to go back to try more of their items!